To this day, Winamp still has some of the most jaw-dropping music visualizations via the MilkDrop plugin. MilkDrop has now been ported to other software and systems but it’s bundled right into Winamp. I used MilkDrop for some recent projects, I have more projects using it on the way too. But I couldn’t seem to find anything cataloging the massive list of presets. There are well past 1000 great presets for MilkDrop and I couldn’t feasibly create videos for them all manually. Moreover, it was admittedly kinda tough finding a way to record them in the first place. And here’s the script I used to seamlessly loop the videos using MLT. I don’t have the time to go through the details right now. But I’ll gladly follow up with some details should anyone ask. It’s just a blog at blogger.com, it’s also kinda hideous right now. But it’s the easiest way to setup a database like this. It’s tough to beat a free price tag. So competition will likely struggle against this one, especially since authors won’t necessarily have to market their books as the site itself is a sort of storefront. We’ll see how it goes from here. Decorating screenshots is very easy these days but it’s not quite as easy to find configurable annotation graphics. Most offer very simple arrows with no outlines or shadows, making them a little tougher to see. So I’ve created a small annotations file in SVG format using Inkscape, along with a walk through for using it. Here’s the video. Open the arrows-and-annotations.svg file you saved above and you should see some nice arrows and other graphics. 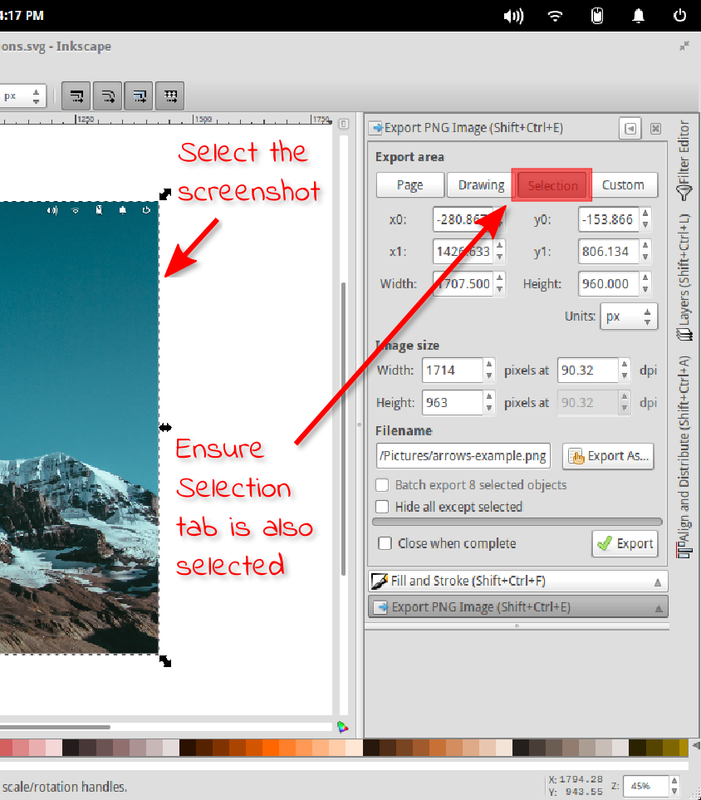 You’ll likely want to decorate your own screenshots, so select the background image and press Delete. Assuming you’ve already got a screenshot you’d like to work with, simply open your file manager then click and drag the file into Inkscape (or go to File -> Import, then select the file). 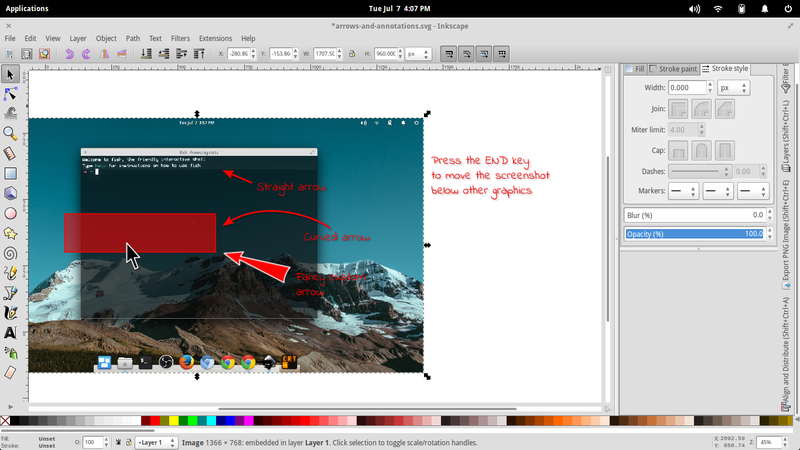 You should see that new screenshot added in Inkscape, likely covering the arrows and other graphics though. Simply press the End key to move it below the other graphics. 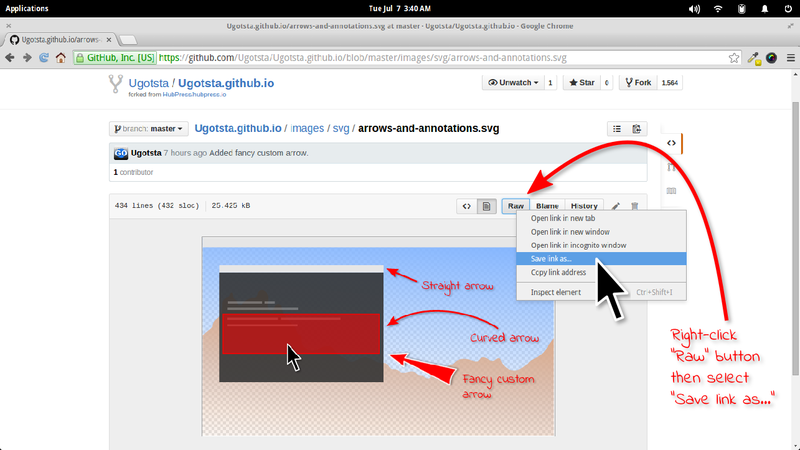 You can then manipulate the arrows and other graphics to annotate the screenshot just the way you need it. 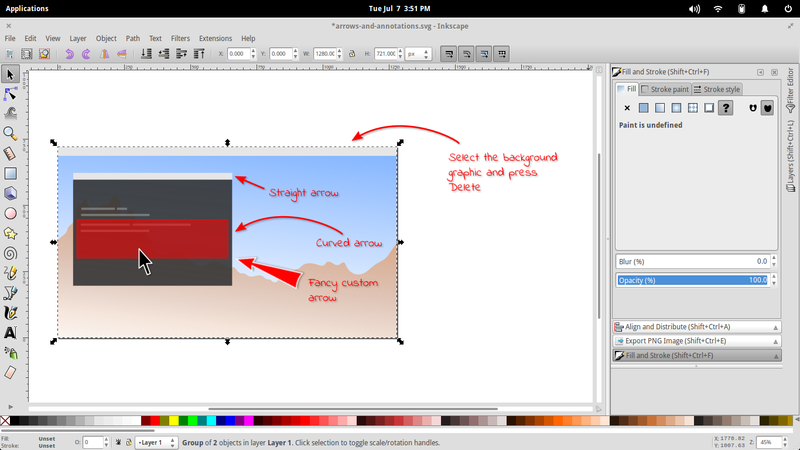 You might consider saving your edited screenshot in Inkscape. Or you can go right to exporting the edit. Simply go to the File menu and select “Export PNG Image…“. You’ll see a new panel displayed with options for the export process. Ensure your screenshot is selected, then ensure the “Selection” tab is also selected in the export panel. Give your file a name, then press the Export button. You should have yourself a nicely annotated screenshot, like the above screenshots, or the one below, for example. 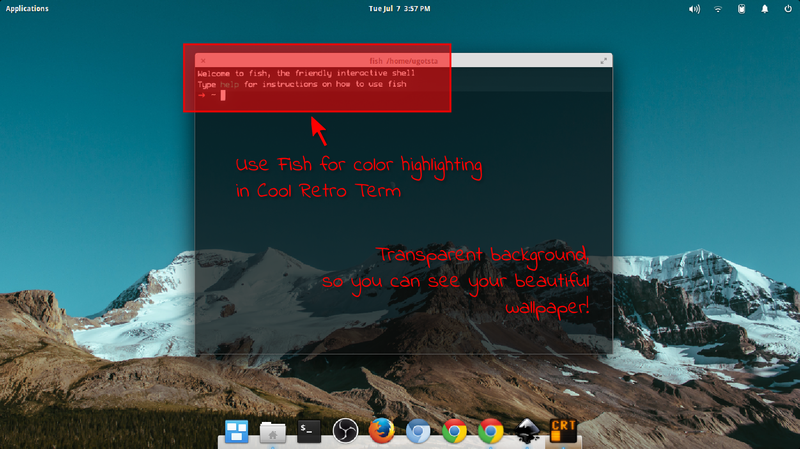 The same method can be used to annotate images for use in screencasts as well. Or you can export just the arrows, mouse graphic or others for use in video editing. HubPress is currently very simple, allowing you to create and edit posts from the interface. It’s open source though, so it’s possible to extend it. The app uses Asciidoctor for editing posts and Handlebars for templating, so it should be able to use existing Handlebars-based themes. I’ll try and cover more details on those through separate videos.